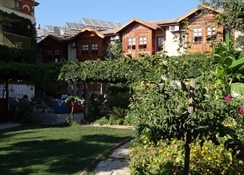 The 2-star Lale Park Hotel is in Antalya in the historical town of Side. This place is small and cosy, a warm and friendly family runs it and it's very affordable. They are into tranquility big time with pretty green gardens with sun beds around and a peaceful atmosphere. The building is in keeping with the ancient Side houses and you can feel the heart that's gone into it. A bit of a bargain we reckon. Local Tips: A 5 minute walk down the beach there are specially nominated sun beds for hotel guests free of charge. Side is a special historical site and worth exploring on foot. Food, Drink and Entertainment:A fresh buffet breakfast is served daily to suit all tastes. There is also a bar in the garden for hot,cold and alcoholic drinks. 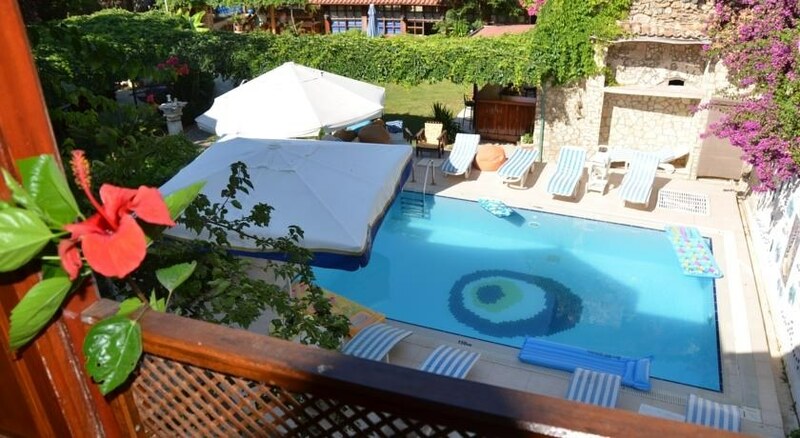 Activities: Lovely small size swimming pool with sun terrace and gardens and the beach is a stone's throw with lots of water sports on offer. 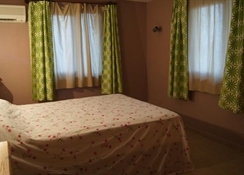 The guest rooms are clean and simple with air-con, mini fridge, WiFi, hair dryer, and a small en suite. Aspendos, Perge and Seleuikia are all within 60km and there are frequently operatic and ballet performances at Aspendos. Turkish archaeologists have been excavating in Side since 1947 and intermittently continue to do so.